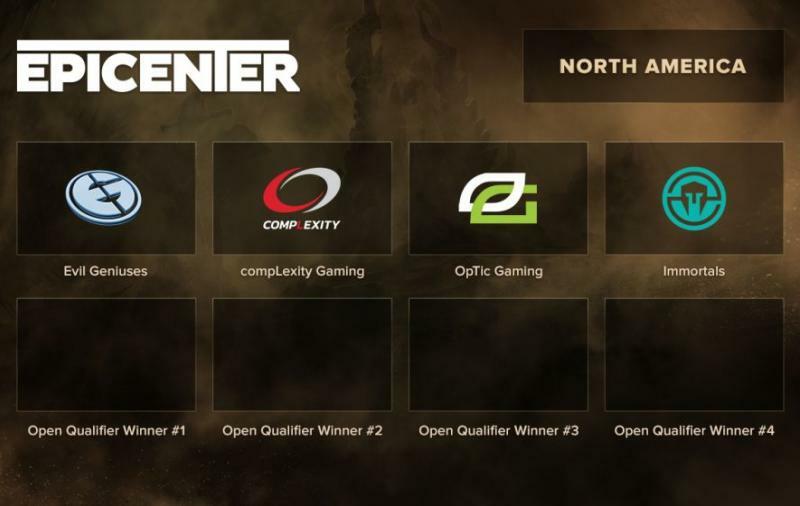 Who will be in the EPICENTER XL North America closed qualifier? U.S.-based Evil Geniuses, a finalist of last year’s Dota 2 EPICENTER, will play in the closed qualifier. Besides EG, invites were sent to compLexity Gaming, OpTic Gaming, and Immortals. They are currently the strongest teams in the region, each with its own unique playstyle, so we can expect a tough fight for a ticket to EPICENTER XL. May the best one win! Four more competitors in the qualifier will be decided in the open qual, whose first stage is already coming up tomorrow. You can still register for it and enter the battle for $1,000,000. Don’t miss your chance!